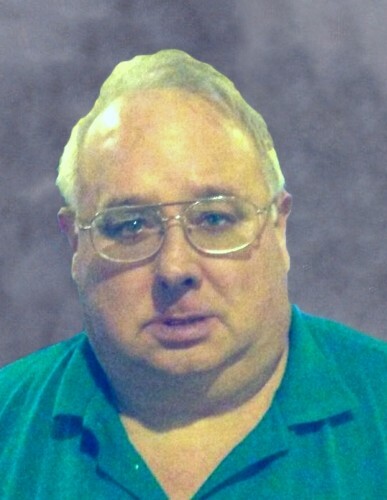 James M. Blanton, 58, of Decatur, IN west to be with the Lord on Monday, April 8, 2019 at Adams Memorial Hospital. James was born in Dayton, OH on May 29, 1960 to Matt & Phyllis Motley Blanton. On August 28, 1995 James married Deborah (Beihold) Blanton. He served in the military as a combat engineer while stationed in Germany and Alaska. James retired as a grain inspector at Eurofins Scientifics, Inc, for 30 years, He enjoyed odunteering with EMA, weather-spotting & certifications. James & Deborah loved spending time with their fur babies, Spencer, Frisky and Joy. He is survived by his wife Deborah Blanton of Decatur, IN; his mother Phyllis Motley Blanton of Wellington, KY and three sisters Robin Doscher of Wellington, KY; Angel Hullinger of Decatur,IN, Andrea Blanton of Wellington, ,KY and 10 nieces and nephews. James was preceded in death by his father Matt Blanton, his two grandmothers Sarah Gladman and Elza Motley, mother-in-law Rachel Beihold and brother in law Craig Doscher. Visitation will be on Friday, April 12, 2019 from 11:00am to 1:00pm at Menifee Home For Funerals, Frenchburg, KY. Funeral services will be held 1:00pm Friday, April 12, 2019 at Menifee Home For Funerals with Rev. Jess Brewer officiating. Burial in the Ezel Cemetery, Ezel, KY with Military Honors conducted by the American Legion Post 126, Morehead, KY. Family and friends as pallbearers. Menifee home For Funerals, Frenchburg, KY with Randy Halsey, Funeral Director.